A simple way to get rid of the toxicity of a stressful and hectic week is to hit the road. If you have long been planning for road trips, here’s a brief preview of which road to take and what to expect. This weekend getaway is a famous hub for the youth of West Bengal who regularly undertake road trips on this well-constructed highway to reach Kolaghat (which is in East Medinipur district of West Bengal). Kolaghat has several admirable eateries that make it even more lucrative as one can see bikers and car troopers flocking here with their fancy gears. A part of the Golden Quadrilateral, it lies in between Kolkata and Kharagpur and the bridge, namely the Kolaghat Bridge, primarily connects West Bengal to the south Indian peninsula. It takes two hours and 15 minutes to travel from NH 6 to Kolaghat, if travelled by a car. Approximate driving distance between NH 6 and Kolaghat is 113 kms or 70.2 miles. The stretch of the NH 6 begins from the district of Howrah, West Bengal. The connector between Chennai and Puducherry, the East Coast Road (ECR) feels custom-made for road-trips. Also known as the State Highway 49, ECR is a two lane highway in Tamil Nadu that is built along the coast of the Bay of Bengal connecting Chennai (capital of Tamil Nadu) to Cuddalore (a city in the Cuddalore district in Tamil Nadu) via Puducherry. This breath-taking roadway finds a special mention in author Chetan Bhagat’s 2 States and quite rightfully so. A photographer’s paradise, here one can witness several people parading through this road throughout the year, immersing themselves into the tranquillity and serenity it has to offer. Bikers especially, seem to love the ECR for its sharp turns and edges, making it an absolute fun ride for them. The road trip from Chennai to Puducherry takes about three hours and 30 minutes by car with the total distance being 170 kilometres. Most road trips are incomplete without the adventurous turns of the Mumbai-Pune Expressway that lands you at the magical Lonavala. An important and fairly new expressway that was open to traffic in 2000, the Mumbai-Pune expressway connects the administrative capital of Maharashtra (Mumbai) to that of its financial capital (Pune). Lined with dhabas (Punjabi restaurants) offering mouth-watering delicacies, this expressway is always bustling with energy. The luscious scenery and dent-less rides, make this one of the most famous roadways to travel on for the youngsters and family-man alike. A foodie tip: Do not forget to gorge on the gorgeous lassi (traditional yogurt-based drink) and dal makhani (a popular Punjabi dish made with whole black lentil, red kidney beans, butter and cream) the dhabas (roadside restaurant famous for Punjabi cuisine) have to offer. It takes about two hours from Mankhurd where Mumbai city ends to Pune via the Expressway. Taking a road trip on the connecting route between Jaipur and Jaisalmer is one that redefines the meaning of a ‘long drive’. Jaipur the ‘Pink City’ of India, heralded for its rich heritage is a traveller’s paradise while Jaisalmer is the royal capital of the cultural Rajasthan and is a busy hub for travellers. The road from Jaipur to Jaisalmer is not only laden with road-trip amenities but also gorgeous Rajasthani (that of Rajasthan) cuisine. The road trip from Jaipur to Jaisalmer can be availed via a bus or hired car. The view of the dunes during the sunset are the added bonus of an otherwise fruitful eight hour trip. Beginner’s tip: Ensure you have enough ways to hydrate yourself on a long, tiring trip. Blessed with fascinating scenic beauty, the roadway between Mumbai-Goa is a dream for travel enthusiasts. 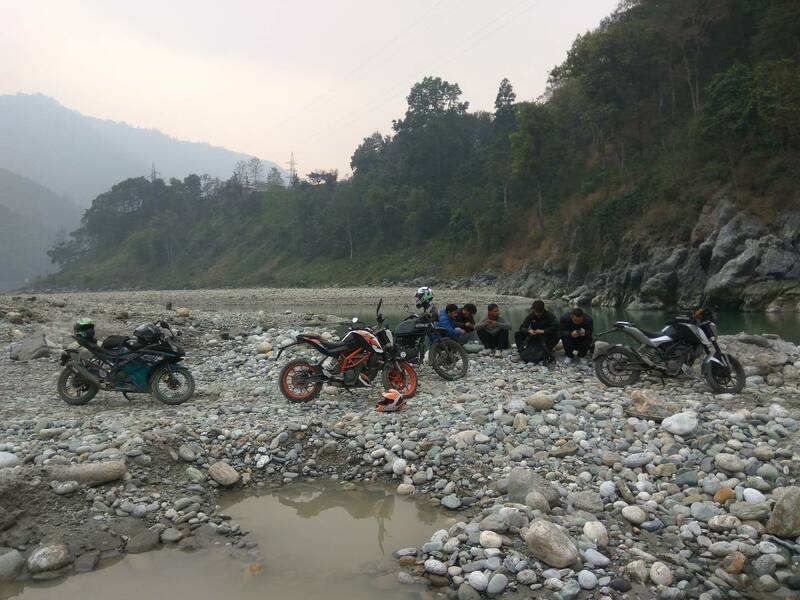 Frequently traversed, it is one of the most coveted road trips that friends plan on for meticulously connecting two of the busiest tourists destinations – Mumbai and Goa. Travelling from Mumbai to Goa via NH 4, takes about 10 hours 30 minutes (non-stop) to cover a distance of 590 kilometres. The route has three major stops – Mumbai to Pune by the Mumbai-Pune Expressway, Pune to Satara to Kolhapur to Belgaum (NH4), Belgaum to Goa. Psst, do not drink and drive! Digha, the cheapest sea-side destination flocked by tourists annually despite the scorching summer time heat is a recreational respite. Every Kolkata-dweller swears by this ultimate weekend destination, which can be availed via a bus, car or bike. Travellers have to journey via NH16 and NH116B to reach Digha from Kolkata (the capital of West Bengal). It takes about four and a 30 minutes to cover a distance of 183.8 km between the two places. The roadway experience that underlines this journey is thrilling, jerky (literally) and fun, to say the least.